So fun fact: I meant to post December 2018’s VeganCuts unboxing but then I accidentally deleted the photos because I thought I had already finished up with this sooo I hope you enjoy the first box of 2019 for Vegan Cuts. Admittedly, this is not my favorite box that I have ever received and was actually mildly disappointed though this may solely be because I received a different package on the same day which I will also be covering. So this is Dave’s Creamy Ginger Citrus Gourmet Hot Sauce. It’s definitely a weird item to receive in a snack box, especially since it arrived in a full sized bottle. I have no idea what this would be good for. The coolest and weirdest item in this box by far. I had no idea this existed but basically it is vegan chicken soup and vegan garden vegetable soup in a k- cup so you’re supposed to use your keurig machine in order to make this and it also gives you directions on how to make it if you don’t have the machine. This is such a nifty and weird product, it’s actually really cool. These are basically vegan cheetos and I am absolutely in love. I received these in a previous box (though I’m not sure which one) and I was a really big fan so I’m excited for the opportunity to have these again because I was absolutely in love. As you know, most gummies are not vegan due to the gelatin which is absolutely disgusting and most definitely not vegan, or even vegetarian. Which is why the existence of these things is so cool even though I am definitely not sure how I feel about the flavor. Alright, so I had actually never heard of this brand so I’m really excited about trying this and lowkey, I have been having some sort of weird caramel craving recently so I am really happy to be getting this box. Crackers to put in my soup. Not really sure what else I’m supposed to think about this. So honestly, I have absolutely no idea what this is but it’s banana with peanut butter. Interested in trying it because it does seem like a pretty decent flavor match up. Fun fact: I just realized now that this box kind of had a yellow theme to it. But anyways, I actually really like pineapple and while I’m not entirely sure what this is, I am excited to try it. I am curious to see how this works but at the same time, I somehow doubt that I will notice a clear difference but maybe I’ll try this when I’m trying to do homework and study or something like that. Final item. I am allergic to strawberries so I did give this to my roommate. Let’s not die this year. So I was actually back at my University when I received this in the mail. I bought it during Black Friday and used the wrong date because I wasn’t thinking about when it would actually arrive versus where I would be at the time but on December 15th, I came back to Greensboro and have been spending the last month trying the contents of the box and posting a review on my Twitter. So if you want to hear my honest thoughts, please go to my Twitter account to find my thoughts. In the Future: I however did order the January Vegan Cuts box so I will be posting that review soon and when I get back to Queens (on the 5th), I will pick up my Urthbox package from the mail center and post that as well. I will be posting an unboxing this month and as I finish the boxes, I will post my review of that particular box. I’m not really sure what it is about this but I really liked it and I think when you’re taking into consideration that this is really a snack box, this fit the idea in the best way. It was really good and I craved it until it was all gone. This is actually the thing in the box that I’m most likely to buy in the future. As anyone on this page may know, I am absolutely OBSESSED with floral flavors and tastes so I always tend to buy those kind of things when I see them making this the thing that I would be most likely to buy before now. It definitely had a strong rose flavor to it and I actually ate that entire chocolate bar within the day that I tried it. This was like a childhood dream coming back to me at full force. My mom used to make these No- Bake Oatmeal Cookies all of the time and it tasted exactly like this. I would totally buy this again but only if I could buy a huge box of them rather than just a measly little cookies. Does anybody remember Almond Joys and the parent thing that was called Mounds or whatever and it didn’t have any almonds? This tasted almost exactly like that, I would totally buy this in a heart beat, especially if it was at the cash register because I could totally see this being a major impulse buy on my part. 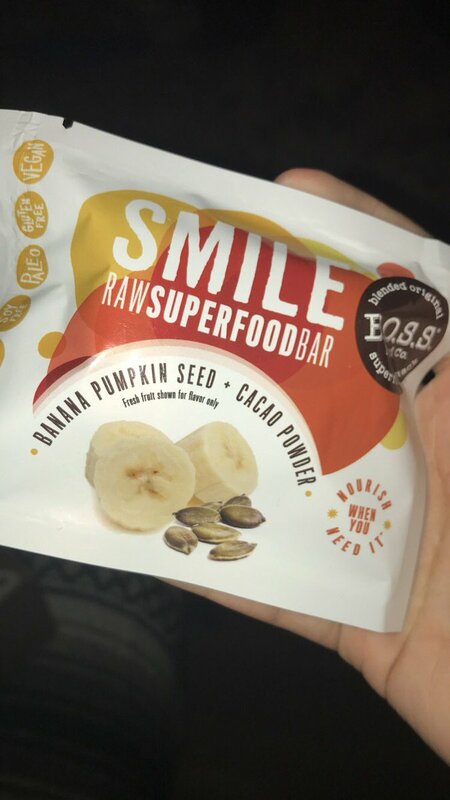 So I wasn’t even entirely sure what this was, it was definitely a kind of bar but I’m not sure if it was specific to a kind of lifestyle (like weight lifting) or something like that and this honestly ignited the biggest banana craving of all time. Between this and that mint chocolate chip powder you’ll see below, I had a minor and short term addiction to smoothies (right up until I counted the calories on MyFitnessPal and almost cried. 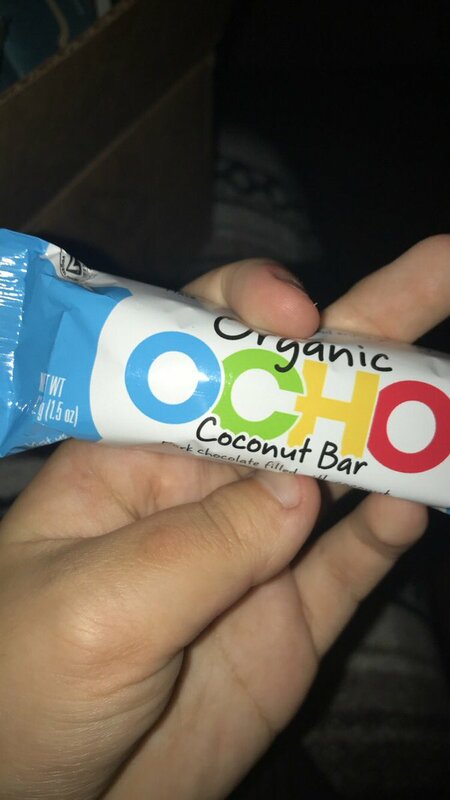 On the real, this seemed like the most expensive chocolate in the entire world ($40 dollars for a regular sized bar) so I was fully expecting this to taste amazing and I was not disappointed. However, I could never afford to buy this in real life! There is absolutely nothing wrong with these cookies. My problem with them is that they tasted exactly like Oreos and the ingredients list was so similar that it was almost useless not to simply call it oreos. I would have loved to try their chocolate chunk cookies because I feel that’s harder to get involved with. This was actually VERY good but it was insanely salty. 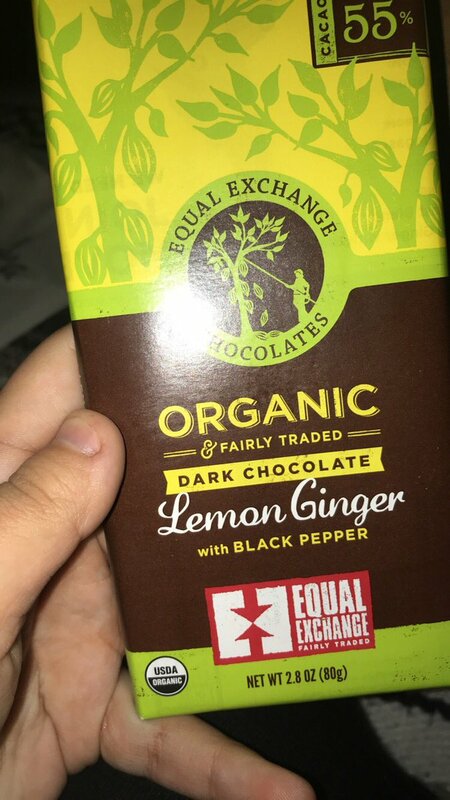 Which I could see being nice if you were in just the right kind of mood and I could definitely see other people enjoying this piece of chocolate. This was honestly just not my favorite thing in the entire world. It wasn’t bad but it wasn’t great and I definitely wouldn’t be buying it again but it was a nice thing to have the opportunity to try. 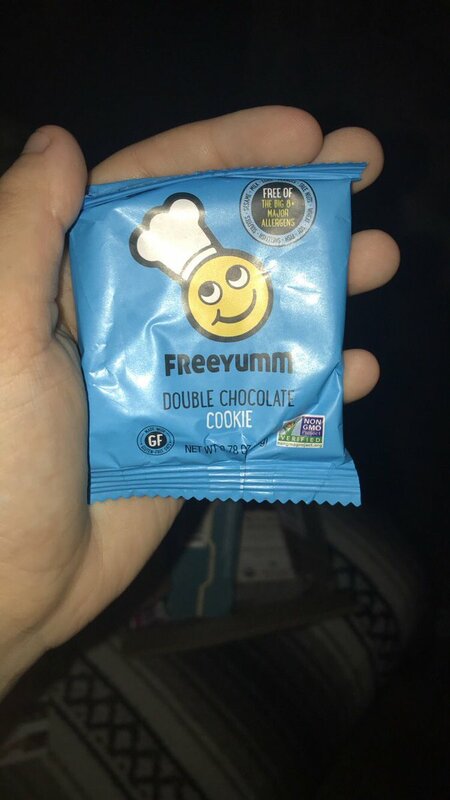 This was a super bitter and honestly, I am curious about some of the other flavors (specifically the lavender chocolate) however due to it being so bitter, I likely wont ever buy it again. I am very into sweets which is a theme in this. If I didn’t think it was sweet than it was unlikely for me to like the chocolate but the problem for this was that it tasted like bitter black coffee and it just wasn’t my style. 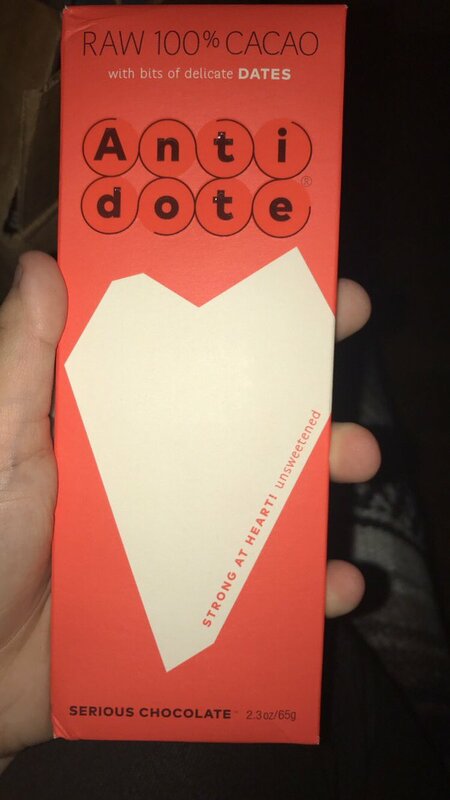 I did give it to my mom’s fiance and I think he finished it? I’m not entirely sure honestly. Nope. Nope. Nope. Easily the worst thing in the entire box. Making it wasn’t even the problem but when I ate it, it was bitter and disgusting. 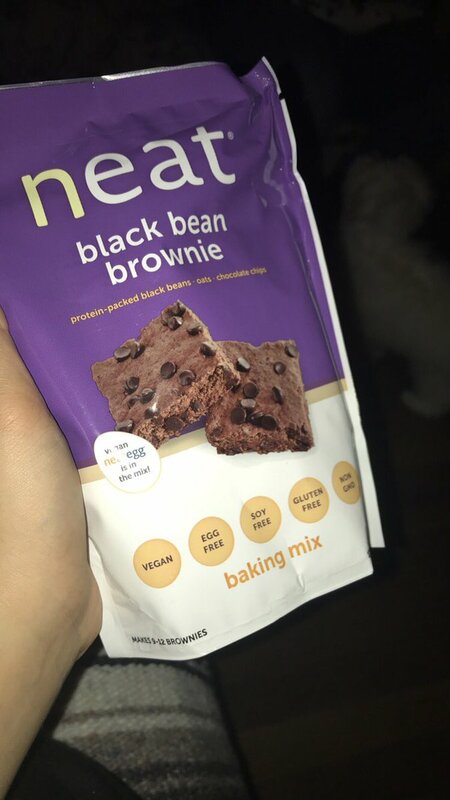 Maybe if you didn’t tell me this was gonna be chocolatey and maybe if it wasn’t supposed to be a brownie, it would be okay but as it stands, I never ate more than a bite and I couldn’t get anyone else to eat it (because they didn’t like it).